Total Motor Power : 143kw Standard Value can be changed depending on Equipment..
Voltage/Frequency : 380V/50Hz Standard Value. The installation and startup of the plant is under our responsibility. We provide excellent after-sales service. 24/7 SERVICES. REMOTE CONTROL SERVICE. 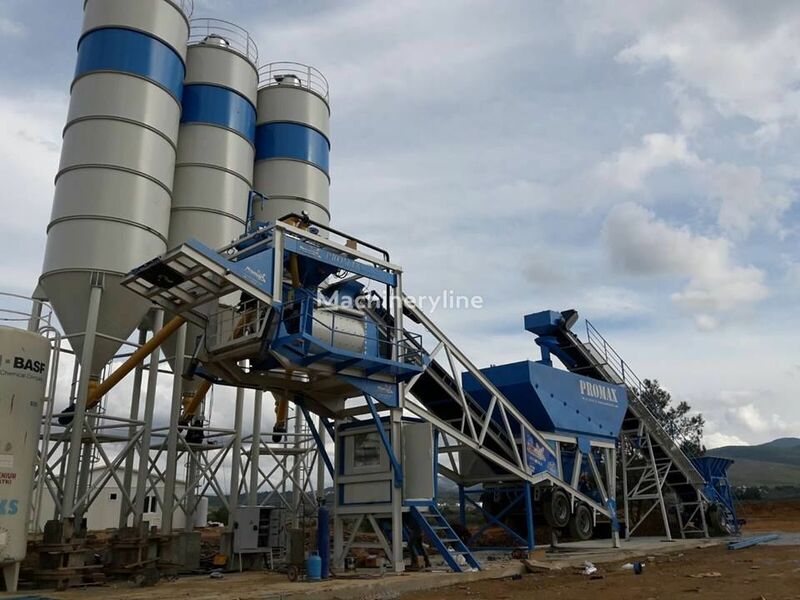 Exporting more than 600 Concrete Batching Plants to more than 40 Countries all over the world. *Cement Silo Equipment and Screw Conveyor. Control System: Full automatic pc - plc – printer. English- Russian- French- Arabic-German-Spanish languages are available.